, a learned English gentleman, was descended from a family in Dorsetshire, and born in 1579. Being sent to Westminster school, he was admitted scholar upon the foundation, and thence elected student of Christ Church, Oxford, in 1596. Four years afterwards he commenced B. A. about which time he became heir to a considerable estate, was made a justice of peace, and knighted by king James in 1613. 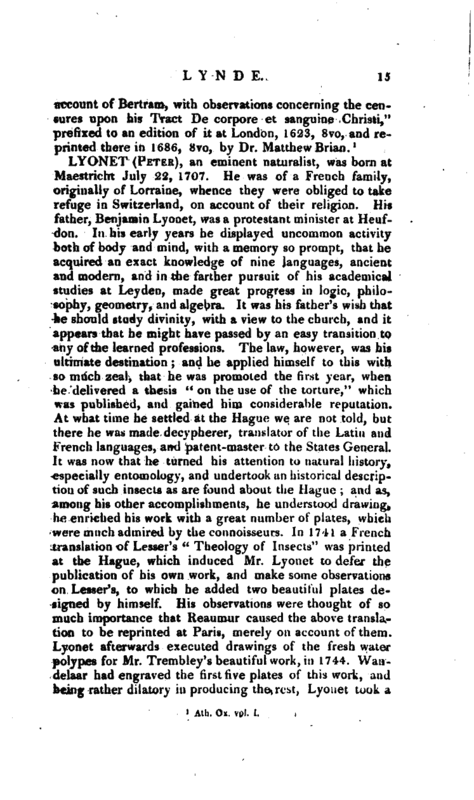 He obtained a seat in the House of Commons in several parliaments; but he is entitled to a place in this work as a man of learning, and author of several books, which had considerable reputation in their day. He died June 14, 1636, and was interred in the chancel of the church at Cobham in Surrey. 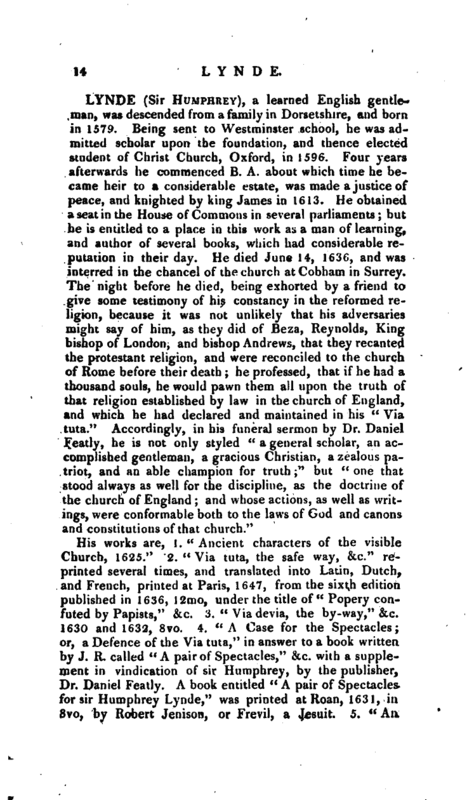 The night before he died, being exhorted by a friend to give some testimony of his constancy in the reformed religion, because it was not unlikely that his adversaries might say of him, as they did of Beza, Reynolds, King bishop of London, and bishop Andrews, that they recanted the protestant religion, and were reconciled to the church of Rome before their death; he professed, that if he had a thousand souls, he would pawn them all upon the truth of that religion established by law in the church of England, and which he had declared and maintained in his “Via tuta.” Accordingly, in his funeral sermon by Dr. Daniel Featly, he is not only styled “a general scholar, an accomplished gentleman, a gracious Christian, a zealous patriot, and an able champion for truth; but” one that stood always as well for the discipline, as the doctrine of the church of England; and whose actions, as well as writings, were conformable both to the laws of God and canons and constitutions of that church." 1 Ath. Ox. vol. I.